The signed Secret Barrister T-shirt has been successfully sold by way of a Twitter Auction. Fortunately (for me at least) there was none of the drama of last year where I managed to have two successful bidders for the same T-shirt (but was rescued by both the kindness of the bidders and of the Secret Barrister). Fortunate again in that, although there was only one T-shirt this year, it raised the same amount as last year, selling for £500. On the morning of the final day of the auction bidding for the T-shirt stood at £155 (and I was happy with that). Then a bid came in for £500 (and I was even more happy). Unsurprisingly this was the winning bidder. The winning bidder was solicitor Stefan Cross QC. The T-shirt is now on its way to Newcastle. The T-shirt has first to be signed by the Secret Barrister (don’t ask me for details of the address, I send it to SB’s publisher). It is then ironed by a silk and will be sent to Stefan. A reminder to all those who were not successful, or want to make sure that they are the cutting edge of fashion, that there is an entire range of merchandise on the billable hour site. 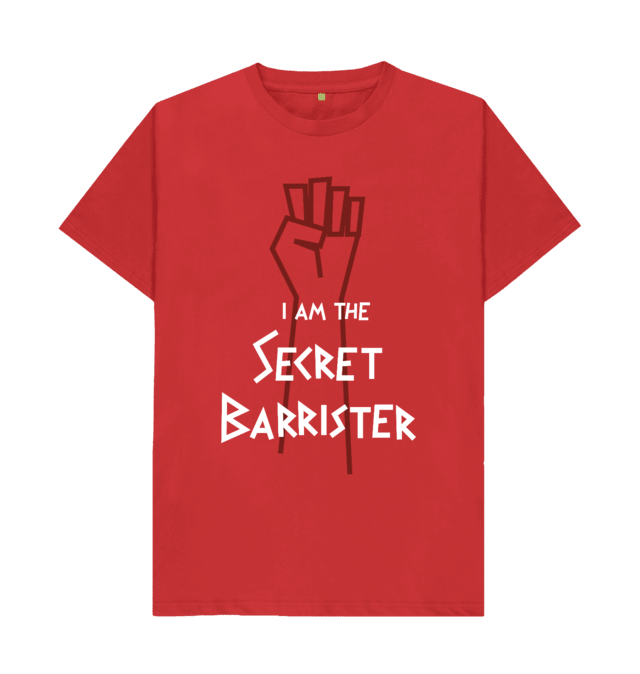 There are range of Secret Barrister T-shirts and other shirts include Inappropriate Gavels, a T-shirt with a photo of Lady Hale and the classic “Billable House” Logo. There is also a donation page.